It has been over a decade since audiences have been given a quality Spider-Man film with Sam Raimi's Spider-Man 2 in 2004. After years of symbiotic let downs, and six sided false promises, arguably the most popular character in modern fiction was given a new hope when Sony reached a deal with Disney to bring Spider-Man into the Marvel Cinematic Universe. 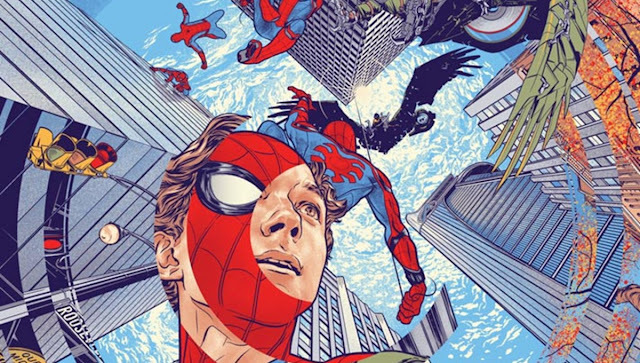 In 2016, the impossible happened when Disney revealed their new Spider-Man, played by Tom Holland, finding what seemed like the first true balance between both Peter Parker and Spider-Man. However as much of the Superhuman Civil War that Holland was able to steal via his slick web swinging and sheer joy. It was not quite a big enough sample size to reveal wether or not this new web-head was too good to be true; an answer that would have to be settled in Spider-Man's first true Marvel film: Jon Watt's Spider-Man Homecoming. Spider-Man Homecoming gives audiences the first truly great Spider-Man film since 2004, but is able to break many MCU barriers along the way. For the first time, the MCU provides audiences and critics alike with a meaningful and political commentary on the Trump Era's forgotten man. The MCU also remedies it's villain problem in the form of Michael Keaton's Vulture, whose intensity does most of the film's heavy lifting giving Tom Holland the ability to web you into his balanced portrayal of Spider-Man. 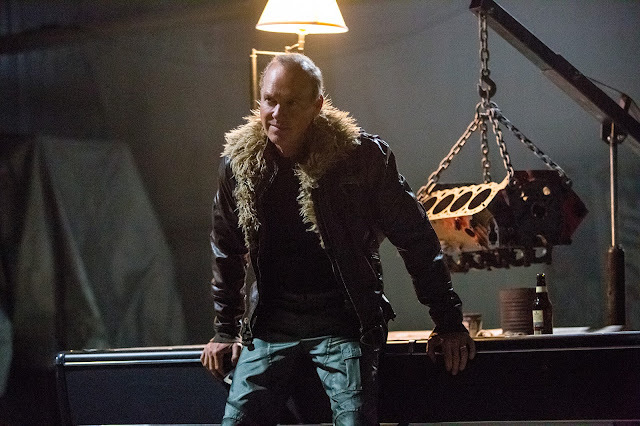 Michael Keaton's Vulture provides parallels to Trump's America. This takes MCU storytelling to new heights. However, this version of your friendly neighborhood Spider-Man is where the film loses its grip a bit. The classic storytelling elements that generations of fans have come to associate with Spider-Man are noticeably absent. There's no Daily Bugle ran by the brash J. Jonah Jameson or no spider sense to alert the world's favorite wall crawler of incoming danger. Instead that is traded in for multi-billion dollar Stark swag in the form of Spidey's new suit, whose knack for getting him out of trouble becomes increasingly annoying as the film progresses. If you are willing to accept this new spin on Spider-Man through the films third act, your patience will be rewarded whether you are Spider-Man fan young or old. After running into trouble between two epic action set pieces, Spider-Man learns via his mentor Tony Stark: "Its the man that makes the suit, not the suit that makes the man". Setting up non-stop aerial and tense thrill ride of a third act aided by the intensity of Keaton's Vulture and his timeless ability to chew scenery. Spider-Man Homecoming's successes more than make up for any minor gripes that fan boys and fan girls may have. 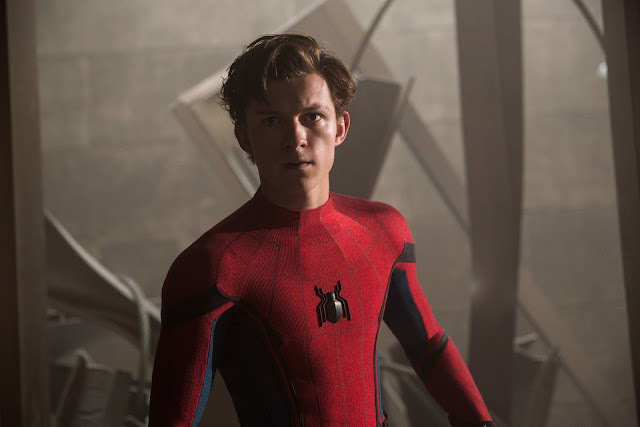 Jon Watts gives us a classic mix of Rob Reiner and John Hughes coming of age storytelling elements to go along with the heart filled tenacity that defines Peter Parker. In an age of superhero saturation, Spider-Man Homecoming much like it's DC rival film from earlier this summer: Wonder Woman feels consequential from both a entertainment and societal standpoint, something that films involving spandex and tights are finding increasingly harder to do.